I have extensive experience as a video photographer shooting interviews, workshops and events, as well as documentary and narrative film. I’ve filmed in all types of situations, from high profile interviews, the African bush, and concerts at the infamous Red Rocks Amphitheater. I’m extremely professional in all situations, and I also get the creative shots that make the difference. For larger projects, I tap into a trusted network of video professionals and colleagues who work with me to make sure the job is done right. 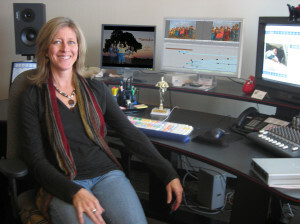 Each project has a character of its own, and it’s the editor who brings it to life. 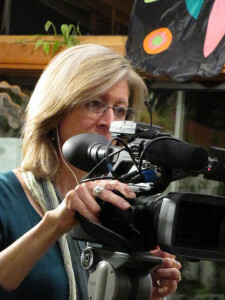 I have been crafting news stories, corporate videos, educational media, documentary films, and more for over 20 years. My sense of timing, emotion, visuals, and sound combine within each edit, leading to a finished product that will leave a lasting impression. My editing suite supports all video formats. Final Cut Studio, Adobe, Squeeze, and other top of the line software provide the tools necessary to create the video or film you’ve imagined. I use Photoshop, AfterEffects, and Apple Motion to create both still and motion graphics for your video, website, or PowerPoint presentation. Please contact me for a customized quote. Discounts available for non-profit productions. Trades available. I can customize your project, working to create the best value and quality within your means.